If you haven’t been to the O2 Learn site for a while, you might not know that their awards are back and they are awarding £2,000 every week! Last years campaign was very successful and to date O2 Learn has over 1,000 curriculum focused lessons available and has delivered over 25,000 hours of teaching. They have also awarded over £300,000 to schools and teachers for teaching excellence. 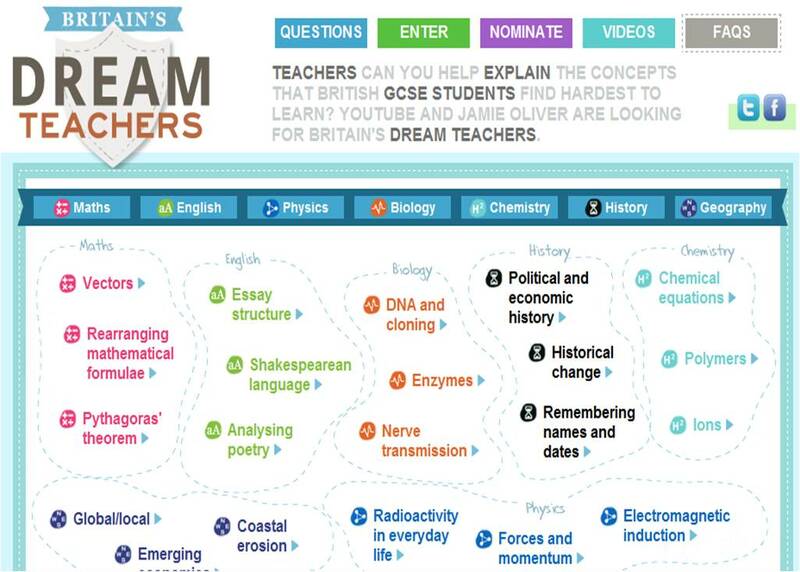 The winning video from last year’s campaign They are continuing to help everyone connect to great teaching by creating Britain’s Biggest Classroom via teacher-created content. 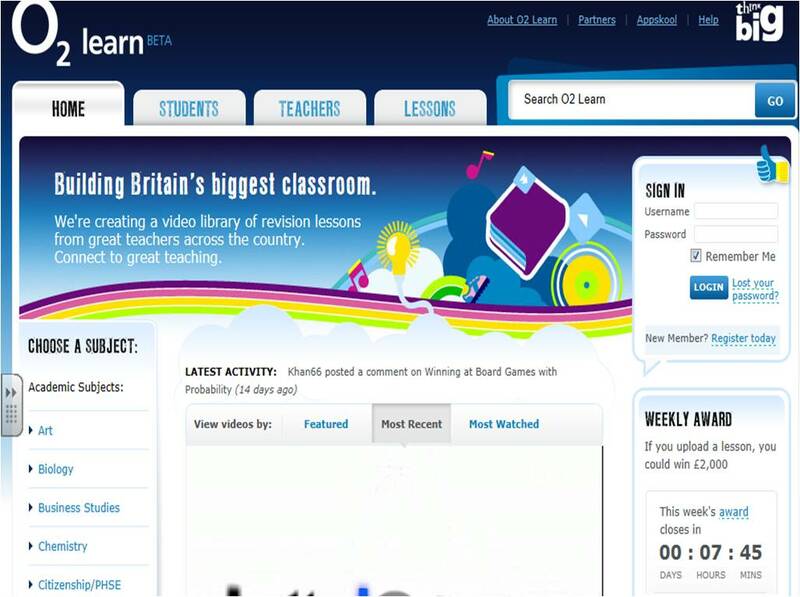 This year, they are thanking every UK teacher who uploads a video lesson to O2 Learn with a free mobile broadband pack. They’re also introducing a weekly Best Lesson award, giving you the chance to win £2000 for you and your school department every week . To date, O2 Learn has over 1,000 lessons available. All of which are curriculum focused and checked by their “Learning Champions”. They have also recently introduced ‘Related Video’ functionality to make it even easier to find the lessons that are useful to you. 3. O2 Learn award prizes to the best lessons every week. Entrants have to be O2 learn registered, 18 or over and they must meet eligibility criteria as set out on the O2 learn website. The video are organised according to different curriculum areas making it easier for teachers and students to find videos relevant to their studies. The videos are also quality assured by educational experts. So for full details of the awards go to the 02 Learn site.